Ok I need help or rather my stuffing thirsty, toy ravaging husky needs help. You see he has this sociopathic love for stuffed animals, gently snuggling them for the first few tender moments, then violently dismembering them. Below we see the culprit caught red pawwed! well here he is, eyes glazed over, reaching nirvana while destroying this poor thing. So now we are looking for help! 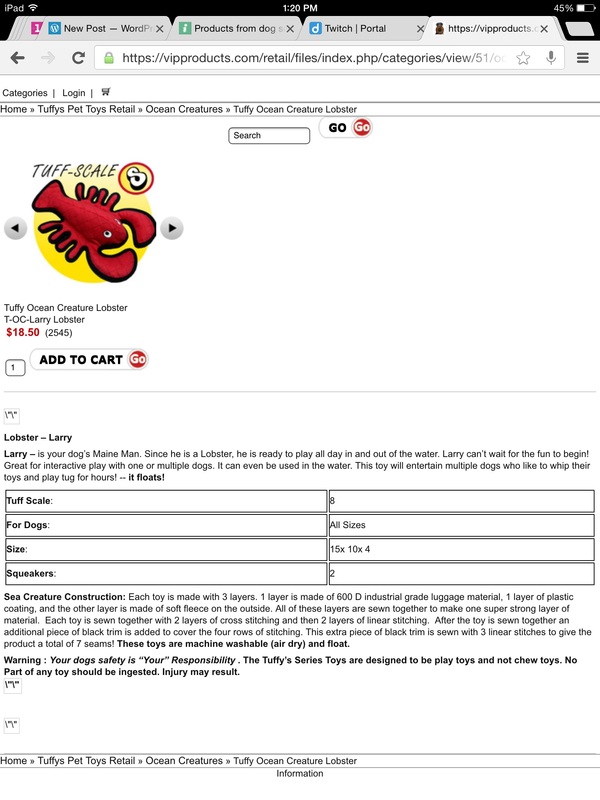 Does anyone know of an extremely heavy duty dog toy? Specifically of the stuffed animal variety? 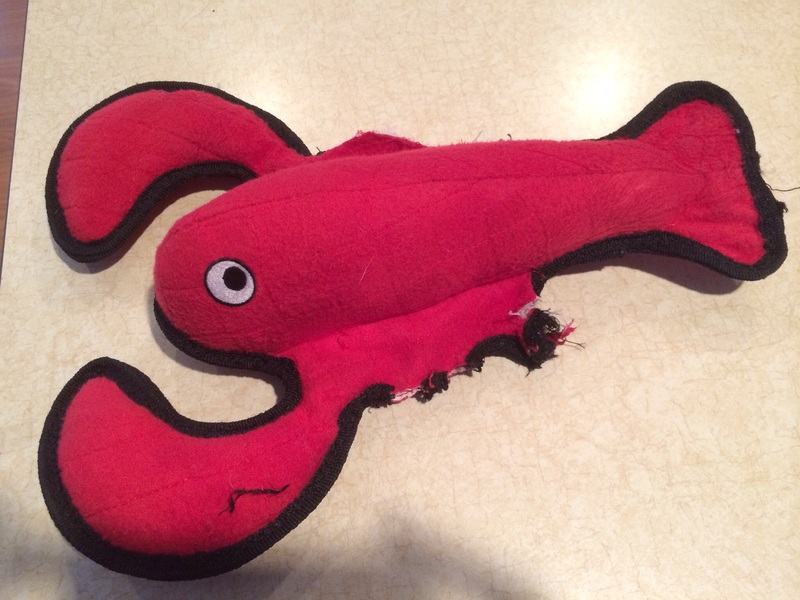 Thanks you for reading, and here is a bonus review my husband wrote in another “tough” dog toy. Enjoy!! !